Who can make the best paper plane? Loads of space. You can fly them outside but it must be on a day with no wind. Make a chart to record your results. 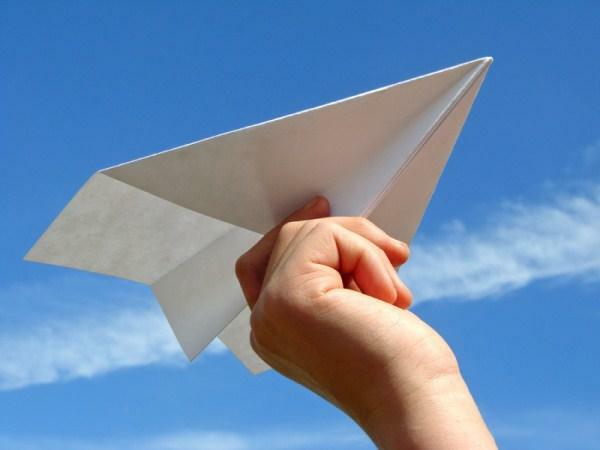 Next, make a lot of paper planes. You and your family might want to make one or two each. You should practice throwing each type to make sure that you are throwing with the same amount of force and speed. Throw your plane. Do this five times for each type of plane and note the results on your chart. Try to use the same plane for all five throws. Who’s plane went the furthest? Take lots of photos and bring them to school with your results chart.